I first visited Santa Barbara over a decade ago. Immediately I was struck by the finesse of wines born from microclimates that are strongly influenced by the Pacific Ocean. Subsequent visits have only reinforced my long-held view that Santa Barbara is one of the world’s elite grape growing and wine producing regions. This report focuses mostly on the 2016s, which are just being released onto the market. In 2016 Mother Nature gifted producers with the conditions to make striking wines of grace and finesse. After a brutally challenging growing season in 2015, producers welcomed the much more benign conditions of 2016. In 2015, growers had to deal with severe drought, poor weather during flowering that lowered yields dramatically, and then unrelentingly hot and dry weather that accelerated the final phase of ripening and led to a very early harvest. As I have written before, the impact of vintages like 2015 where ripening is fast and the window to pick is narrow goes well beyond the actual quality of the fruit and wines. Producers in Santa Barbara, and elsewhere in California, to be fair, often rely on outsourcing and/or shared facilities that can be bottlenecks. If a large amount of fruit ripens at the same time, it is obvious that outsourced vineyard management companies can’t pick everything at the same time. Some fruit will inevitably be left on the vine longer than is optimal. Custom crush wineries and other shared facilities are then stressed in their ability to process a larger than normal amount of fruit in a timely fashion. Those facilities also often have limits on tank time and other constraints that present challenges well beyond those created by Mother Nature. Two thousand sixteen, on the other hand, was a relatively uneventful year. It was the last year of a drought cycle, and in some areas plants struggled after dealing with depleted resources, but those appear to have been isolated instances. There were very few days of excess heat, and the only real period of spikes occurred in mid to late September, after quite a bit of fruit had been picked. Harvest started early, in August, but the year did not present the sort of alarming conditions that cause vineyard managers and winemakers an enormous amount of stress because of out-of-control rapid sugar accumulation at the end of the growing season. In most cases, growers had the luxury of being able to pick when and how they wanted. And therein lies the Paradox of 2016. Looking back at 2015, yields were punishingly low and growers were forced to pick early in order to avoid excessively high sugars in a very early-ripening year. That combination, in turn, produced wines with both stunning concentration and energy. In other words, as compelling as 2016 is – and it is a terrific vintage – only a few wines reach the levels of the 2015s. It may also be that some growers were tempted to leave a little more fruit on the vine to compensate for brutally low yields in 2015, and ultimately that shows up in some vines. Today, Pinot appears to have the upper hand over Chardonnay among Burgundian varieties. Even so, the wines show a good bit of site definition, which is always a good sign. Syrahs and Cabernet-based reds are typically released later, so I will have better idea about those wines next year. Readers will also find a number of 2017 whites in this article. In general, the 2017s whites are open-knit, supple wines that are best enjoyed on the young side. I also tasted a number of reds that are quite promising. Fortunately, Santa Barbara did not have to contend with the severe fires that ravaged Northern California. It is my strongly held belief that American wines must be able to stand on their own merits, without comparison to the wines of other regions, especially those of Europe. While it is tempting to use terms such as ‘Burgundian,’ ‘Chablis-like’ and others to describe some American wines, I believe that is a huge disservice to the wines and the people who make them because it creates and perpetuates a relationship of subservience. No. American wines should be appreciated on their own merits. Earlier this year, 67 Pall Mall, the exclusive private club in London, invited me to host a tasting for their members and gave me carte blanche to pick whatever wines I wanted. Literally. There was no budget. As much as I like the academic interest and rigor of vertical and retrospective tastings, those events can be a bit predictable. I wanted to do something different. So, after some internal discussion, I decided to pick ten wines that had been meaningful to my personal journey in wine. I wanted a significant number to be from the United States and also chose to take some chances by serving wines in an unconventional order to mix things up. The California white I chose was a Chardonnay from Tyler, but the wine that was available in London was the Santa Barbara Chardonnay. Initially I was concerned about showing an appellation-level wine in a tasting with the 1982 Latour, 1993 Rousseau Chambertin-Clos de Bèze, the 2010 Ridge Monte Bello and 1982 Bartolo Mascarello Barolo, among other icon wines. Maybe, a single-vineyard wine might be better, I thought. But then I decided the appellation Chardonnay was the perfect wine for this tasting, because it spoke to a region and not a specific site. I served the 2015 Chardonnay in the middle of a set of iconic reds, and you know what? It was positively stellar. Everyone just stopped to marvel at how gorgeous and deeply expressive that wine was. And it just got better with time in the glass. This is the level the finest Santa Barbara wines are capable of reaching. The week or so I spend in Santa Barbara each summer is always one of my favorite times of year because the region has so much to offer, although that may not be as obvious to the casual visitor. 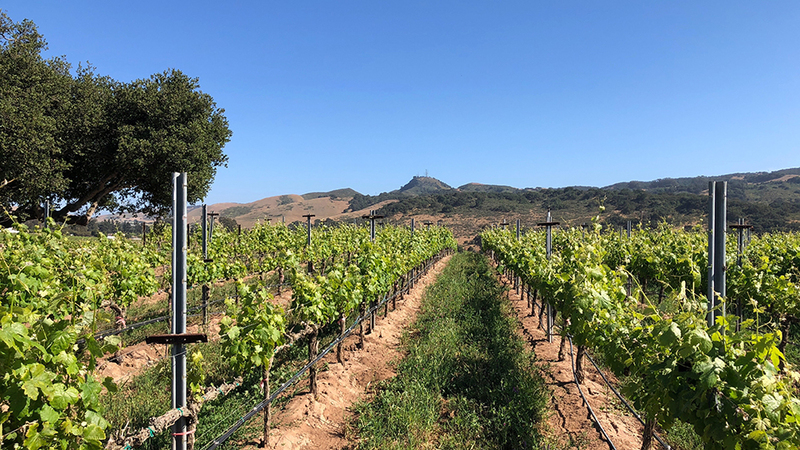 As exceptional as the best Santa Barbara wines are, the local industry continues to grapple with significant headwinds. Napa Valley and Sonoma benefit from a number of small towns with tasting rooms, restaurants, shops, hotels and other facilities that support an active and growing wine tourism industry. Santa Barbara does not have a Yountville, with its cluster of superb restaurants, or a Healdsburg, with its charming square, to say nothing of larger towns like Napa and Sonoma that have so much to offer the visitor who wants to learn more about wine. The only town in Santa Barbara that is set up for the wine tourist is Los Olivos, which despite its considerable charms, is easily overrun with the smallest number of visitors and has very limited dining/lodging options. Moreover, the various wine districts within Santa Barbara are spread out from each other and are at least 45 minutes away from the town of Santa Barbara, a gorgeous small city with much to offer but no incentive whatsoever to send its visitors north to wine country. These conditions make it difficult for the curious wine lover to experience all the richness of Santa Barbara. Consolidation at the distributor level – perhaps the single greatest threat facing wineries today – makes it increasingly harder for producers to gain share of mind both within the industry and then the final consumer. On my most recent trip, I heard plenty of stories of wineries, some of them very well established, cutting back their production because of difficulties in selling through their production. And these are estates that consistently make outstanding wines, not upstarts or lower-tier producers. Because of these reasons, with a few exceptions, Santa Barbara wines remain exceedingly fairly priced, both compared to US equivalents and to global peers. As always, there are two sides to every story. A lack of pricing power makes it challenging for wineries to invest in growth, and may over time cause some wineries to shrink or shut down. That is obviously not a positive development. But as I finished editing this article and looked at the prices I was simply blown away by the quality to price proposition so many wines offer the consumer. Things I Liked This Year…. These are some of the wines and estate that made a strong impression this year. Reviews for some of these properties will appear in Part 2 of this article. Alma Rosa – There is probably no one in Santa Barbara that has been through more ups and downs than Richard Sanford. This is a terrific set of new releases from Sanford and winemaker Nick de Luca. Au Bon Climat – Jim Clendenen is one of Santa Barbara’s old masters, yet he proves he is still at the top of the pack with an absolutely stellar set of new releases. Bien Nacido Vineyards – Trey Fletcher has the benefit of sourcing some of the best fruit from the Miller family crown jewels – Bien Nacido and Solomon Hills for this stunning set of wines. Brave & Maiden – These Bordeaux-blends from Josh Klapper and Paul Hobbs are just as compelling as they were last year. Byron – The 2016s are especially fine, expressive wines. Côtière – Kevin Law has a unique voice that really stands apart from the current mainstream thinking among some young producers. De Montille-Willett – Etienne de Montille, the scion of one of Burgundy’s most important families, could have gone anywhere when he decided to pursue a project in the United States. His choice of Santa Barbara speaks volumes as to the region’s potential. In short order de Montille signed a long-term lease for a large piece at Wenzlau and a second parcel, known as the Mesa, from Domaine de la Côte. Not a bad start. The first wine from de Montille and Justin Willett, a Sanford & Benedict Pinot, points to a very bright future. Diatom – It’s great to see this range of Chardonnays from Greg Brewer back with another strong set of wines. Dierberg/Star Lane – Tyler Thomas continues to make compelling Pinot Noirs and Cabernets at Dierberg and Star Lane respectively. Domaine de la Côte/Sandhi – Rajat Parr and Sashi Moorman made a set of 2016s that will shock readers for their density and pure power. Personally. I have never believed alcohol levels are the be all and end all of wine, but the 2016s are all a full percent or so higher in alcohol than previous vintages. My prediction: These 2016s will be a huge commercial success, which is quite ironical given Parr’s advocacy for lower-alcohol wines in the past. Ultimately, though, what counts is what is in the glass, and the 2016s are spectacular. Dunites – Tyler Eck is the assistant winemaker at Fess Parker. The first wine I tasted from Eck’s Dunites label is positively stellar and points to a very bright future. Folded Hills – Angela Osborne crafts gorgeous wines at Folded Hills in a style that is a touch more overt than the approach she favors at her own A Tribute to Grace label. Foxen – As always, this range has a ton of highlights. The 2016 Rhône reds are especially of note. 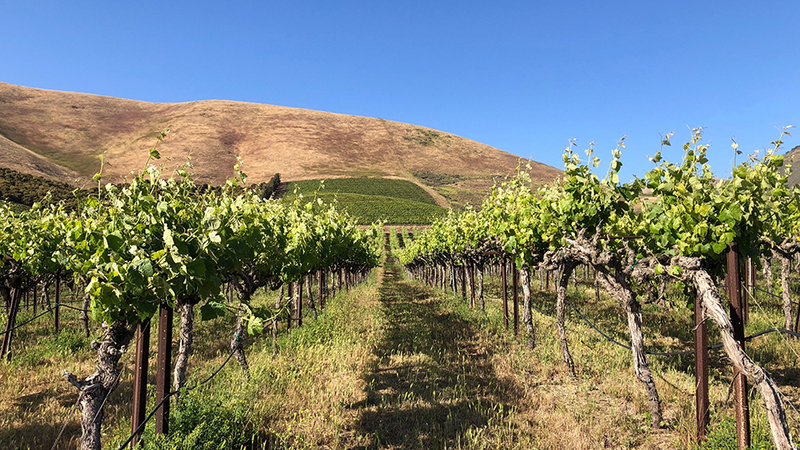 Hilliard Bruce – The 2016 and 2015 Chardonnays make a compelling case as to which variety is best suited to this site. Kunin – It is bittersweet to taste these new releases after Seth Kunin’s unexpected passing earlier this year, but there is no denying these are the best wines ever from Kunin. Lady of the Sunshine – The first wine I tasted from Gina Hildebrand is terrific. Liquid Farm – Jeff Nelson and James Sparks continue to make compelling Chardonnays from top sites in Santa Maria and the Sta. Rita Hills. Longoria – Rick Longoria is one of the pioneers in Santa Barbara. His wines may not enjoy the visibility of some of the newer, trendier brands, but they are reliably delicious, expressive of site and fairly priced. Melville – The 2016s are the first wines Chad Melville has made on his own at Melville, and they are terrific. Andrew Murray – Murray excels with rich, dynamic Rhône wines that offer tremendous quality for the money. Next of Kyn – Elaine and Manfred Krankl will, probably, always be known for Sine Qua Non. As good as those wines are, I was really impressed with the two wines in their Next of Kyn range. Ojai Vineyard – A wide range of terrific, site-specific wines at prices that are exceedingly fair. Adam Tolmach and Fabien Castel excel at many things, but the Pinots and Syrahs are the highlights. Pence – This project took a few years to find its groove. The 2016s are the first wines off this site that are truly of note. 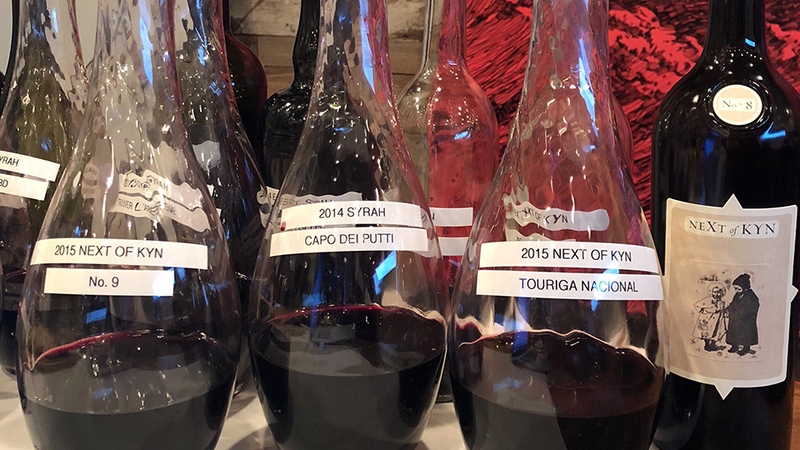 Piro – Marc Piro’s 2016s are more than worthy follow ups to his terrific 2015s. Spear – Spear is another new entry in the Sta. Rita Hills scene. The reds are notable, although the whites remain works in progress. Still, I am encouraged by what I see. 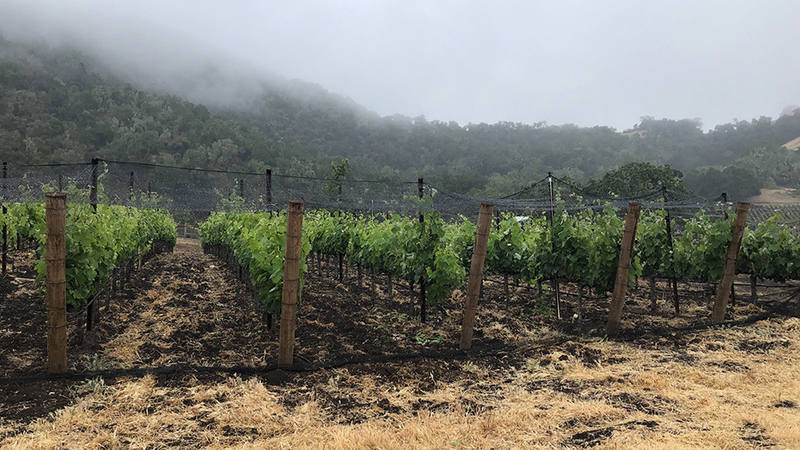 Rancho Viñedo – Proprietor James Ontiveros recently brought on Justin Willett of Tyler to make the Rancho Viñedo Chardonnay, and the results are evident in the superb 2016. Refugio Ranch – This sprawling estate seems to finally be finding its unique voice under the stewardship of Ryan Deovlet. Stolpman – After a number of years of soul-searching, these wines finally seem to be settling into a comfortable style under the leadership of Peter Stolpman. I was very impressed with what I tasted this year. 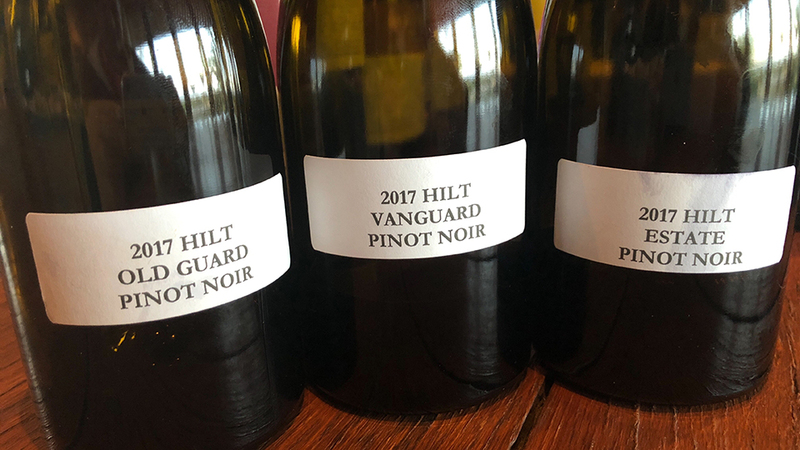 The Hilt – Matt Dees and his team make brilliant Chardonnays and Pinots that are among the finest wines being made in California today. Tatomer – Graham Tatomer’s top 2016 Rieslings are noteworthy. Timbre – Josh Klapper is one of the quieter young winemakers in Santa Barbara, but his enthusiasm is palpable, and it shows in the wines. Tyler – Justin Willett’s 2016s are worthy follow-ups to the stellar 2015s. Personally, I would like to see this list not exist at all, but there are a handful of estates that for various reasons disappointed this year. Goodland – This project headed by Matt Dees, Ruben Solorzano, Dave Potter and Chris Snowden got off to a strong start a few years ago but has now shuttered because none of the founders had the time to dedicate to it. Needless to stay, starting something and shutting it down within just a few years is not great. La Barge – I very much wanted to like these wines after a visit to the property a few years ago, when La Barge was just getting started, but objectively these wines are complete outliers relative to the level of quality that is now the norm in Santa Barbara. Presqu'ile – The wines are good, but they really should be better. Presqu'ile continues to struggle to find its style. Moreover, the fact that wineries that purchase fruit from the property make better wines than Presqu'ile itself is telling. Vineyard Name Changes – The ability of new owners to change the name of their vineyards is the single greatest obstacle to creating real, multi-generational value in land. Driven by pure ego – and that is all it is – new owners destroy whatever brand equity was created by the previous owners. A few years ago, François Pinault, the French billionaire owner of Araujo Estate, changed the name of his Calistoga estate to Eisele Vineyard. Why? Could it possibly be that Mr. Pinault, Frédéric Engerer and the team that runs Eisele Estate and Château Latour know something about creating value over the long-term? Maybe, just maybe. To be fair, this problem is not limited to Santa Barbara. It is, nevertheless, a huge limitation for the United States wine industry. I tasted most of the wines in this article during a trip to Santa Barbara between late May and early June. 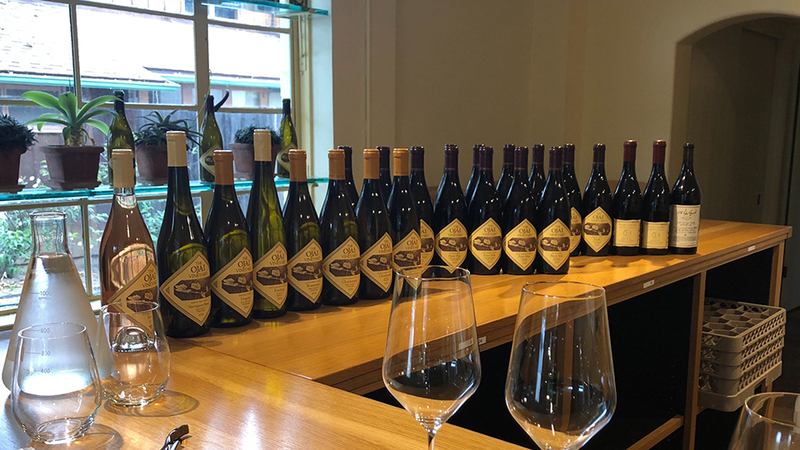 With a handful of exceptions, I personally visited every producer in this article in order to gain as much perspective and context on the wines as possible, as opposed to relying on huge centralized tastings. I then tasted wines that were not in bottle or showed awkwardly, along with a few other new releases during the summer. Readers who would like to more general background on Santa Barbara will find much of that information in my previous articles, which are listed below for the sake of convenience.